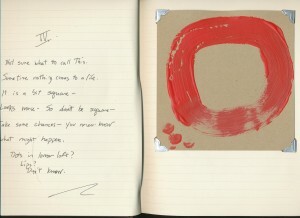 ENSO is the “zen circle of enlightenment.” In Zen, ENSO is also represnts the time when the mind is free and the spirit is open to just create. 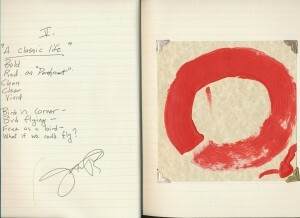 I am not a scholar and apologize to those that study and know the tradition of ENSO. I read, think and ponder then and add my own perspective. I make it what works for me. I change it, I emulate it, I work with it. I add my own flair to it. I am influenced by it. I make it part of me. 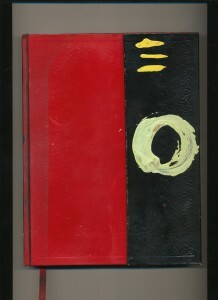 The painter starts from the lower left side [between the ‘7’ and ‘8’ on a clock]. The painter makes it in a SINGLE stroke. 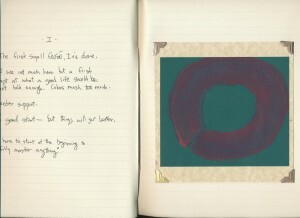 The painter may take hours, days, years, decades contemplating what the ENSO will be. I have taken that to mean they were searching for answers to all questions or one single over-riding question. What are we doing here? What is the reason? I generally start in the same corner — lower left. I do my best to make a circle with a single motion. I don’t always make it. So I make many strokes. Some of the time over 100 strokes in a single combined ENSO. 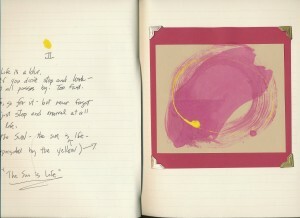 I believe each stroke ‘around the sun’ represents a life lived. 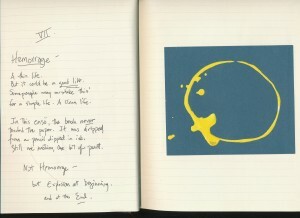 The ENSO is the symbol of life. It looks easy to do, but in reality it is quite hard. 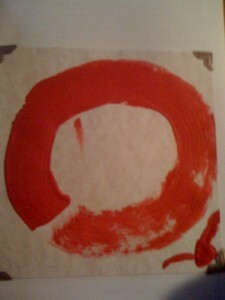 Try to paint an ENSO. Make sure there is enough paint on the brush. Make sure to make a round circle and don’t square it too much. 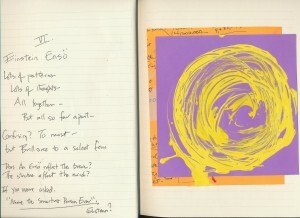 Remember a true ENSO is only one stroke — one shot. I changed that to many strokes. In life we re-emerge and change. I believe in representing many lives with all the circles. There is an ENSO for every type. It will emerge – if you let it. 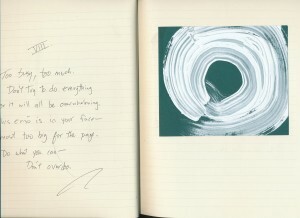 My favorite book on this is ENSO: ZEN CIRCLES OF ENLIGHTENMENT by Audrey Yoshiko Seo. I don’t know. It was not planned. The number just continued to appear. I was 38 when I set up my first personal email account. I always used my corporate email. It represents a new life. A new beginning. Freedom. Independence. I was also 38 when I became a single father to my children. It was also a new beginning. An end to one — a beginning to another. Then using 38 for a few years, I happened across this picture and realized the first time I ever played a sport for the sake of winning — being in an organized game and with only the best surviving. 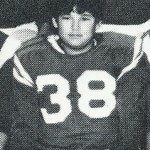 I wore the number 38. That was in 7th grade. It was also a transition. Different lives. My two older children are now teenagers and doing great. I am re-married to an amazing woman and we have two small children. After going back to corporate world, I am now separated from it again. Another transition. I started my consulting and now it’s five years. Each year gets better and busier. 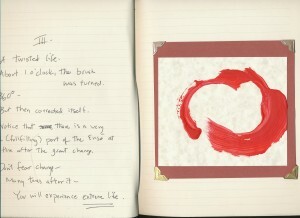 I painted a book of 38 ENSO images during this change. A few thumbnail examples to follow. I started this web page to be one step away from anyone who actually wants to see what this is about. This web site is created and maintained by me. I thought about hiring a professional to clean it up. But ultimately decided I wanted to learn the basics of web-design. I don’t try to be fancy. I just enjoy it and hope it expresses my desire to be open minded and figure out new things.